Lincoln Northeast High School advanced art students answered the call from Nebraska’s First Lady and submitted their ornament designs for a chance to be featured on the official holiday tree at the State Capitol. 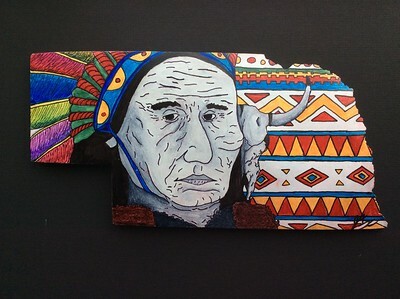 Five of the students, along with their instructor, Michelle Hrbek, had their work selected and it will be on display to the public during the tree lighting ceremony on Dec. 9 at 1:30 p.m. in the State Capitol Rotunda. The event is open to the public and also will feature the Lincoln All-City Girls Chorus. 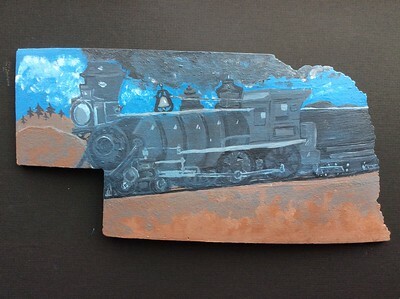 Artists across the state were asked to create ornaments in the shape of Nebraska that represent the state: its diverse natural, cultural and agricultural heritage; the state’s vibrant history; a public place or location with historic or cultural significance; or a depiction of Nebraska today. With more than 316 proposals submitted, only 166 designs were chosen. The Northeast students and their families were invited to a special reception with the other artists. The event was hosted by First Lady Susanne Shore at the Governor’s Mansion on Nov. 8. Maria Hernandez honors Union Pacific Railroad's impact on the state and nation. Kali Summers did a tribute to rodeos in small town Nebraska. Jayden Arthur celebrated Native culture in Nebraska. 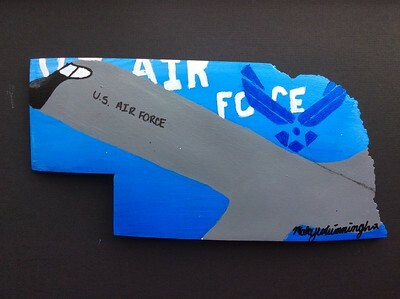 Makayla Winningham honored the military, specifically the Air Force. 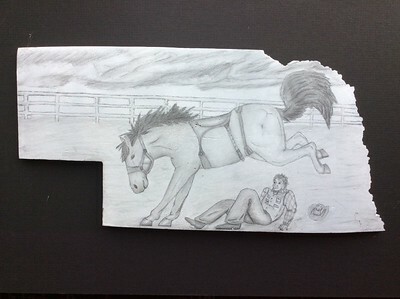 Cristian Cervantes did a collage of objects related to the state of Nebraska.